The Consortium usually meets three times a year in March, June, and October. We try to meet in a different hall on each occasion and vary the days of the week to try to give everyone the opportunity of attending as many meetings as possible. We have at least one main speaker to talk about issues members have indicated they would like to discover more about. Details of our next meeting can usually be found on our News page. The minutes of past meetings can be found at the bottom of this page. 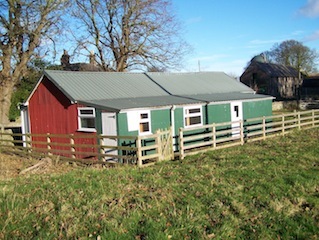 Consortium Meeting 27 March 2019, Ulgham WI Hall Louise Currie, of CAN, spoke about the Hallmark scheme, the independent, national quality standard specifically designed for village halls and community buildings. Her presentation can be found here and the check lists for the requirements of Hallmark 1, Hallmark 2 can also be downloaded. George Courtice talked about the Consortium’s latest survey of members’ incomes. His presentation can also be accessed. See below for copy of minutes. Consortium Meeting 4 October 2018, Watson Memorial hall, Lucker We had two outside speakers: Sue Swanston who spoke about the importance of understanding more about Dementia and Adrian Hinchcliffe who talked about bulk buying energy schemes and community buildings. This was followed by the AGM where the following were elected to the management cttee: Jack Hasson (Chair), George Courtice (Secretary) May Wilson (Treasurer) and Heather Leatherland. Have a look at our 2017-18 Annual Report and Financial Summary. Consortium Meeting 21 March 2018 East Bedlington Community Centre The theme for this meeting was the new compliance rules taking force in May over the legal use of personal data. Anne Fry from VONNE examined the changes in relation to village halls and other community buildings. The draft minutes with useful links can be found here. Draft minutes March 2018 East Bedlington. The PowerPoint slides presented by Anne Fry are here. Consortium Meeting 11 January 2018 Longframlington (postponed from November 2017) The main topic of the meeting was marketing – how best to promote your venue, where to do it, what style seems to work best and why it is important. Consortium Meeting 7 September 2017 Bamburgh Pavilion Sylvia Pringle from iNorthumberland spoke about progress with superfast broadband and confirmed that the overwhelming majority of members were now able to access broadband if they wished to take advantage of it. Sylvia described how some village halls are benefitting from it: warm hubs engagement, offering web based training, conferences/meetings which offered WiFi , farmers markets and craft fairs allowing payment by card, allowing halls to offer volunteer run techy tea parties helping local people to get to grips with the world of digital communication using ipads, tablets and smartphones. Consortium Meeting 7 June 2017 Lesbury Village hall The main speaker was Ross Weddle who spoke about energy audits in village halls with his work with Green Community Buildings. He was also developing, with colleagues, a DIY online system of energy audits which could be very attractive at an estimated cost of £50. The AGM which followed received the resignation of Ted Brown as Treasurer and the following were elected as officers. Chairman: Jack Hasson, Treasurer: May Wilson and Secretary George Courtice. Heather Leatherland was elected to join them of the management committee. Minutes of previous Consortium meetings can be downloaded here. Please note that the most recent minutes are usually in draft, awaiting final agreement.